Adjustable Air Freshener Is Easy To Use And Offers An Affordable Way To Deliver A Refreshing New Scent. Scent Of Vanilla, Apricot Blossom And Almond Scent Swirls Provides Just The Right Amount Of Fragrance To Neutralize Even The Strongest Odors. Adjustable Design Lets You Control The Level Of Freshening Power. Long-Lasting Air Freshener Lasts Up To 30 Days..
Adjustable Air Freshener Is Easy To Use And Offers An Affordable Way To Deliver A Refreshing New Scent. 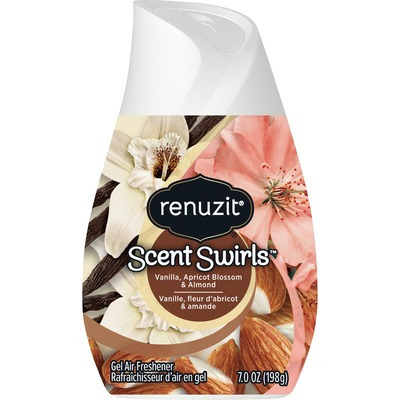 Scent Of Vanilla, Apricot Blossom And Almond Scent Swirls Provides Just The Right Amount Of Fragrance To Neutralize Even The Strongest Odors. Adjustable Design Lets You Control The Level Of Freshening Power. Long-Lasting Air Freshener Lasts Up To 30 Days.